The NRRC is an approximately 3,000 square-foot facility on the campus of Southern Arkansas University. The center was funded jointly by Southern Arkansas University and a grant from the Department of Commerce through the Arkansas Economic Development Administration and was completed in 2010. The NRRC consists of seven separate laboratories and is thoroughly equipped with state-of-the-art analytical instrumentation to meet the needs of industries, public agencies, and private citizens. The center recognizes its responsibility to aid in the training of scientists to meet the needs of the region. Undergraduate and graduate students on the campus of Southern Arkansas University are strongly encouraged to participate in research projects at the NRRC while under the supervision of both the SAU faculty and the NRRC staff. 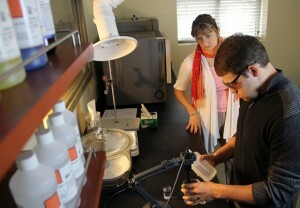 At the Southern Arkansas University engineering lab you can make the prototype of your products. 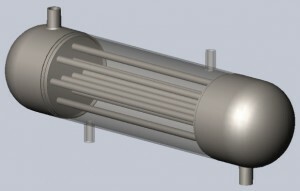 Our experts can convert your ideas into the CAD models and then turn them into the prototypes. We can also use your CAD model in any format and make the prototype for you. The NRRC is the gateway to the knowledge and professional capabilities of the faculty in the College of Science and Engineering. In addition, the NRRC can provide expertise and consulting in the areas of general research & development, quality control, analytical chemistry, alternative energy & fuels, water, and soil chemistry.